I am a young Maori woman. I have huge passion for all work that can be done with rangatahi (youth) and personally believe that today’s youth will show future generations the way forward. I am a P.A.T.H Facilitator. P.A.T.H stands for Planning Alternative Tomorrows with Hope. I use this planning tool a lot with Youth and whanau around the country and enjoy it. 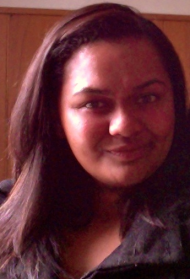 TetraMap has done wonders with the way I am able to communicate with Rangatahi (Youth) and people in general. Its also helped me communicate better in my personal life as well as my professional life which I think is a bonus.